Why There Are Words is thrilled to have the following readers kick off the reading series: Tamim Ansary, Shana Mahaffey, Scott James, Mari Coates, Michael Alenyikov, and Gravity Goldberg. The theme is “Different Year, Different Worlds.” Come hear what these writers have to say about that. The reading series will kick off Thursday, January 14, 7 PM, at the wonderful Studio 333 on Caledonia Street in Sausalito, $5 donation at the door. Books will be available for purchase and for signing by the authors. Afghan-born Tamim Ansary’s best-selling books include Destiny Disrupted: A History of the World Through Islamic Eyes and West of Kabul, East of New York (which of its many honors was also named the One City One Book selection for the city of San Francisco). His new novel The Widow’s Husband is now available at online bookstores. As a longtime columnist for the Microsoft learning site, encarta.com, Ansary wrote about education, democracy, the social effects of technology, and other social and cultural issues. He directs the San Francisco Writers Workshop and teaches sporadically through the Osher Institute of Lifelong Learning at San Francisco State and at U.C. Berkeley. Ansary moved to the United States in 1964 at the age of 16. Today he lives in San Francisco with his wife and two cats. Shana Mahaffey lives in San Francisco, California, in part of an Edwardian compound that she shares with an informal cooperative of family, friends, and five cats. She’s a survivor of catechism and cat scratch fever, and is a member of the Sanchez Grotto Annex, a writers’ co-op. Her recent debut novel, Sounds Like Crazy, has received much acclaim, including nomination for the Northern California Independent Booksellers Book Awards. She welcomes all visitors to her website and is happy to meet with book groups in-person or in cyberspace (phone/webcam/the works). 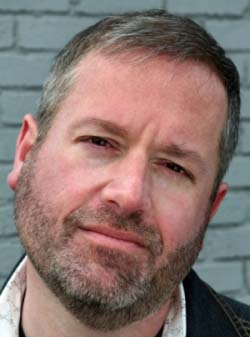 Scott James is a columnist for The New York Times and three-time Emmy Award winner for his work in television news. He is also a novelist, writing fiction under the pen name Kemble Scott. His debut book SoMa was the first novel launched using YouTube, and his second The Sower was the first novel sold by giant social publisher Scribd.com. Both books became bestsellers. 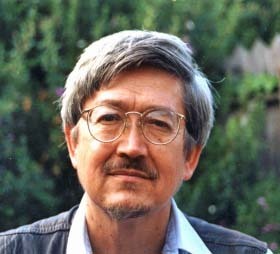 Michael Alenyikov’s fiction and essays have appeared in The Georgia Review, Descant, The James White Review, Modern Words, New York Stories, and The Gay & Lesbian Review. 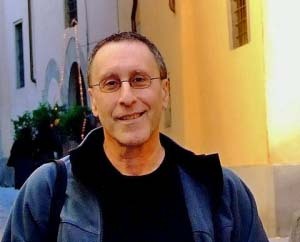 The title story to his forthcoming book, “Ivan & Misha: A Novel In Stories” (Northwestern University Press, fall, 2010), was a 2007 Pushcart Nominee, and was anthologized in Best Gay Stories, 2008, Lethe Press, and Tartts Four: Incisive Fiction from Emerging Writers, Livingston Press. He’s paid the rent by means of various occupations, including bookstore clerk, psychologist, cab driver, and freelancer writer. Born in the Bronx, he now lives in San Francisco. 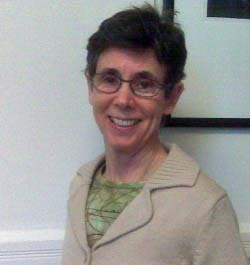 Mari Coates is a writer living in San Francisco. Before turning to fiction, she wrote on theater, film, and the arts for many Bay Area publications and was principal theater critic for the SF Weekly. 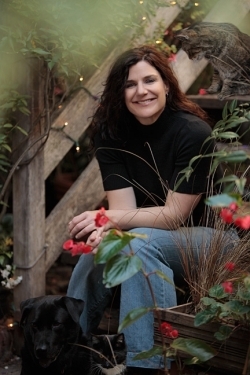 She earned her MFA from the Warren Wilson MFA Program for Writers and currently produces jacket and promotional copy for UC Press, Berkeley, California. Gravity Goldberg is co-founder and co-editor of Instant City: A Literary Exploration of San Francisco. Over the years, her writing has appeared in places like Watchword, SFBG, Stretcher, SFGate, Kitchen Sink and other print publications. She teaches creative writing to awesome adults through the San Francisco City College extended education program. For the fourth year, Gravity will be festival manager for Litquake. She lives in the Mission District with her cat and boyfriend.